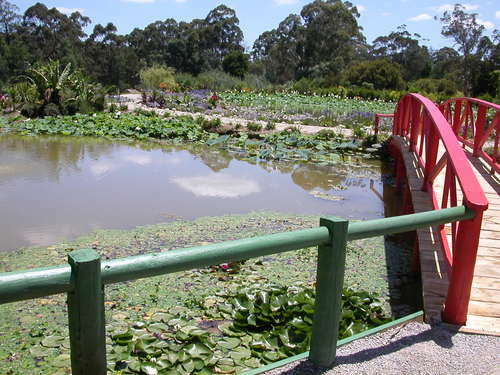 Watergarden and Nursery: The first pond you see on entry. The first pond you see on entry. This is only the first of many ponds .Watch out for the fish and natural wild life around the ponds.